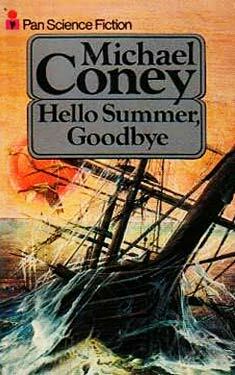 First published in 1975, Hello Summer, Goodbye is a minor classic of the SF field. Set on a planet whose elliptical orbit creates intense summers and long, cold winters, it tells of the love between Drove and the girl Pallahaxi-Browneyes, whose affair is set against civil war and the dread approach of winter. It's also a brilliant depiction of an alien world, with bizarre tidal effects and even stranger native creatures. As Coney states in the Author's Note: "This is a love story, and a science-fiction story, and more besides." It's also a beautifully-written, lyrical adventure story with one of the finest closing lines in the genre.